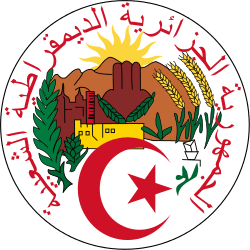 The Algerian Party for Democracy and Socialism (Parti Algérien pour la Démocratie et le Socialisme) is a communist political party in Algeria. When in 1993, during the Algerian Civil War, Ettehadi was realigned as a democratic movement resisting Islamism, the orthodox communist wing split apart under the leadership of Abdelhamid Benzine to retain its communist legacy. PADS publishes Le Lien des Ouvriers et Paysans. 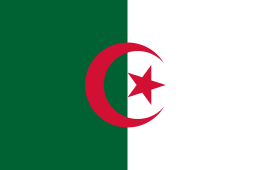 ↑ "Leftist Parties of Algeria". Broad Left. Retrieved 7 May 2016. 1 2 Augustus Richard Norton (2001). Civil society in the Middle East. 2 (2001). BRILL. p. 83. ISBN 90-04-10469-0. Retrieved 13 September 2014.